Signs Visual prints beautiful indoor banner display graphics in New York, NY. Our interior vinyl banners can be printed in glossy or matte finish and can be combined with a banner stand to hold up right for a free-standing effect. Each of our interior vinyl banners are carefully finished and packaged and shipped to your retail store or corporate office or event for distribution. We offer competitive prices on bulk orders. 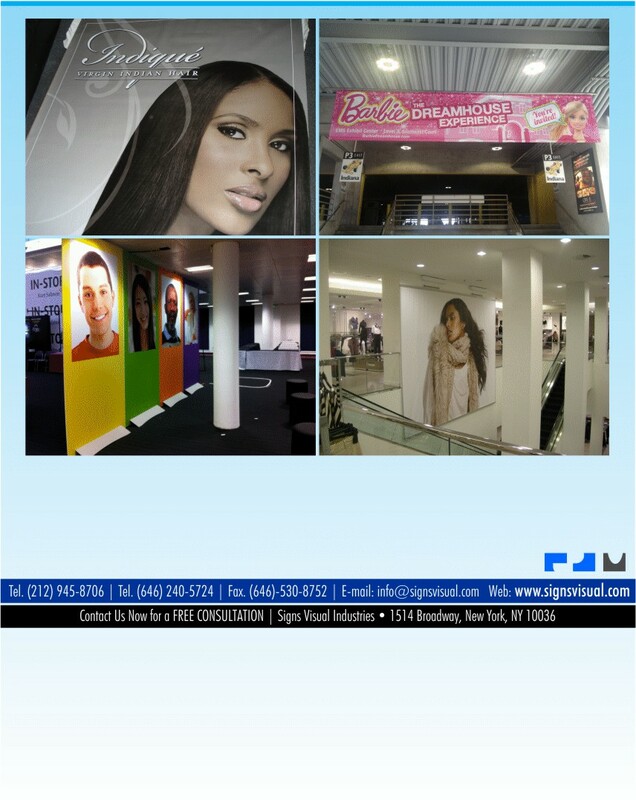 Contact us today for a free consultation on your next indoor vinyl banner order in NYC!